Oxfordshire’s badgers, wildlife and countryside are under threat as never before. Oxford City Council and the four surrounding District Councils all have huge plans for building development, much of it on green field and Green Belt sites, on the pretext of solving “Oxford’s unmet housing need”. More and more of the county’s fields and woods are disappearing under concrete and bricks, destroying badgers’ setts and vital feeding areas. More housing and commercial development means more traffic on our already busy roads, making it less likely that animals will survive crossing roads, even at night, and effectively slicing up our countryside into smaller and disconnected fragments. Small isolated populations of badgers are not sustainable, due to forced inbreeding, and lack of natural replacement if hit by disease or starvation. On top of this, the unelected National Infrastructure Commission are now proposing that the government proceed with an Oxford to Cambridge Expressway. To pay for this new motorway, they propose a “Growth Arc” of at least 100,000 more houses and commercial development in Oxfordshire from near Didcot and Abingdon, past Oxford and across the east of the county towards Milton Keynes and Bedford. Oxfordshire was specifically mentioned in Chancellor Hammond’s November budget speech, in which he singled us out as a “significant target area”, in the constant, but unsustainable push for more and more economic growth. High employment levels and unaffordable house prices indicate Oxfordshire’s economy is already overheated and has clearly outstripped its existing infrastructure, while other parts of the country, outside the Southeast, are desperate for jobs and investment. The obscene DEFRA Badger Cull (based on poor science, ineffective and cruel shooting, and at great expensive to taxpayers) is moving ever closer to Oxfordshire. In 2017, according to DEFRA’s own figures,19,274 badgers were slaughtered,1,012 of these in neighbouring Gloucestershire and 4,521 in Wiltshire. They are now proposing the 2018 Cull be extended to Oxfordshire. 1) Tell us where your local badgers are. 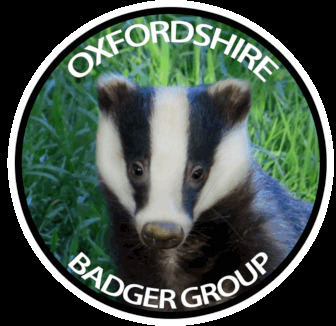 Please use our OBG website pages (REPORTS – BADGER REPORTS/SIGHTINGS) to send us your sightings of road casualties, live badgers and especially their sett homes. We need to keep improving and updating our archives so we know which badgers are most in danger from building and new roads or any extended Badger Cull. Not sure if you’ve found a sett or signs of badger activity? Send us photos or ask us to come and take a look to confirm. 2) Keep an eye out for new housing and other developments coming to your local area. Watch out for Planning Application notices pinned up on fences etc, or printed in your local newspaper or parish newsletter. Help us by regularly checking or requesting updates from your District Council website for Planning Applications near you. It’s often local knowledge of a resident which first alerts us to a need for safeguarding action. If you think badgers are threatened near you, do take a look in the area for setts or other badger signs. Again take photos or ask us to come and help you check the area. Didcot “Garden Town” - 15,000 houses. Much of Great Western Park already built, but more to come SW of Didcot. Also North Ladygrove, and NE of town. If it isn't built on then it is probably targetted for a shopping mall, warehousing, car parking or even a few homes. Begbroke and Yarnton – 2,480 houses. S of Water Eaton Park & Ride - 650 houses. North Oxford Golf Course - 510 houses. SE of Woodstock – 410 houses. 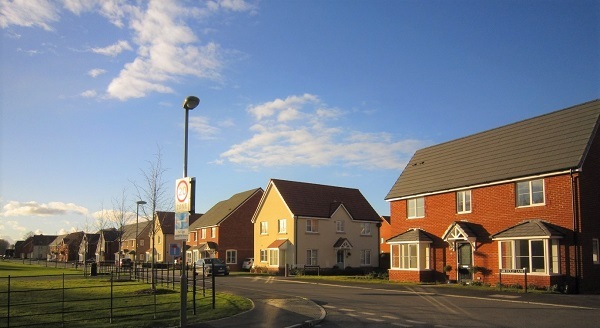 Crab Hill, Wantage – 1,500 houses. North Abingdon – 950 houses. NW of Grove – 400 houses.